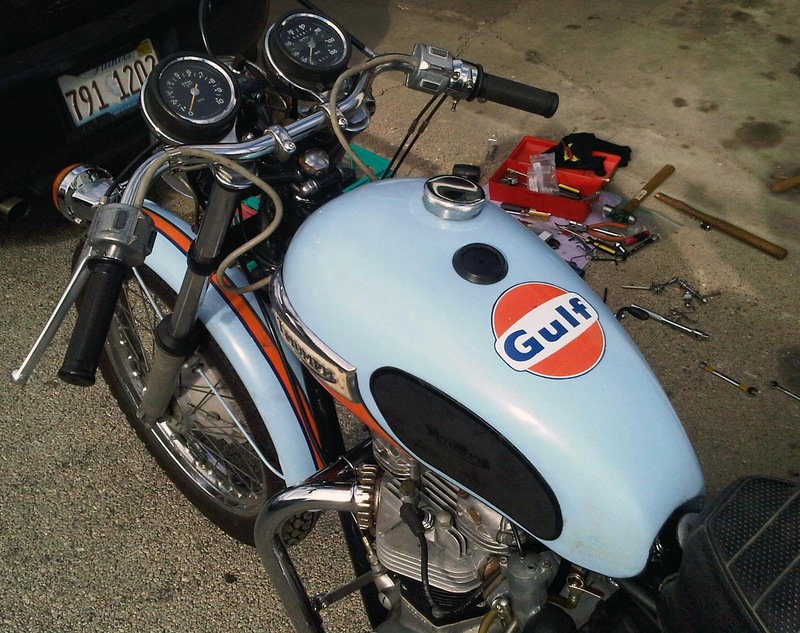 The updates to the bike have been taking shape over the winter. 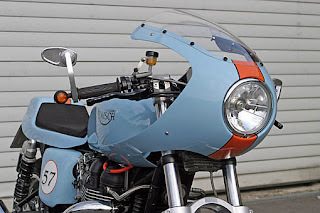 The bars have been swapped out for a pair of M-bars, a shape developed to work specifically with the 70’s steering triple tree where clubmans won’t fit. 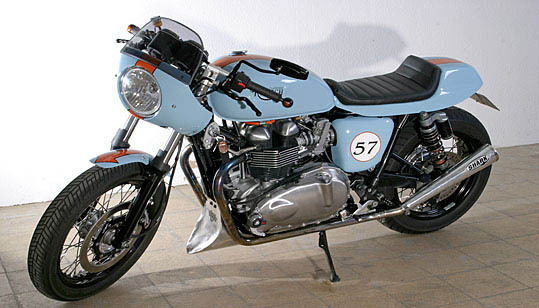 These are from Norman Hyde in England; he specializes in upgrades for both Meriden and Hinckley Triumphs. 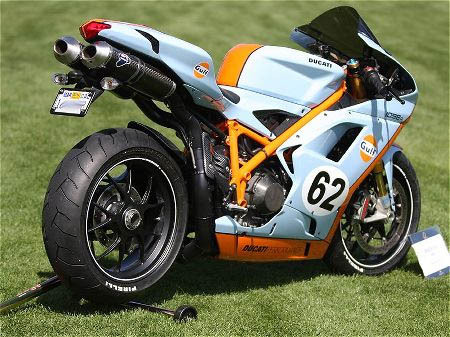 Also from NH are a pair or rearsets, these change footing position with well manufactured cast aluminium plates and gear and brake levers. 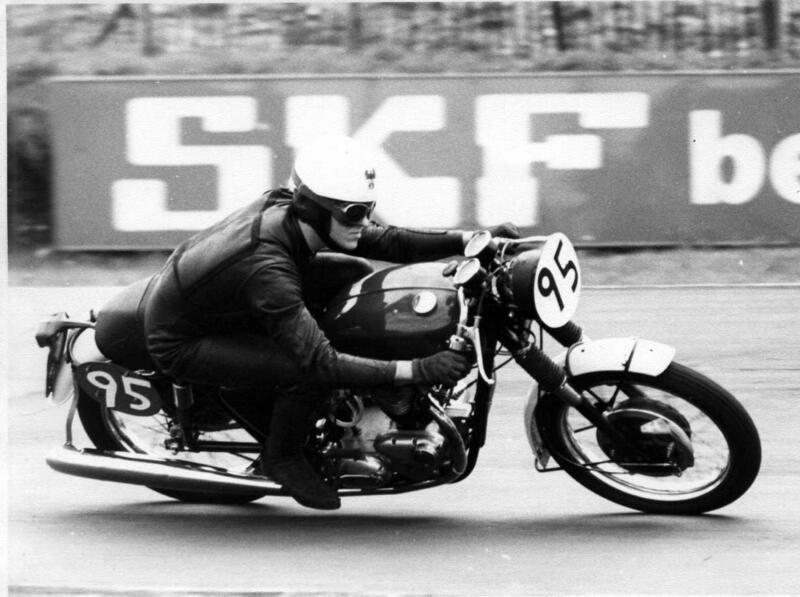 There was some fanagling with the fitting points as these were developed for the pre oil in frame unit models. There is still some tweaking with the fine adjustements and mounting to ensure the kick start lever swings cleanly, the gear change pivots correctly and rear brake rod arm levers well. 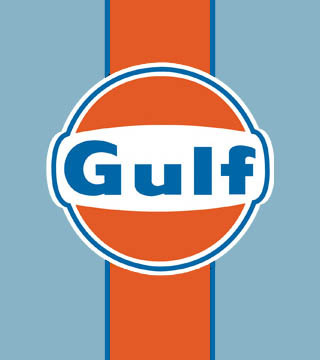 The tank was repainted to include a Gulf decal, adding to the Le Mans theme. Also a narrow nosed seat from a T140V has been included, swapping out the boxier seat that came with the original project bike. 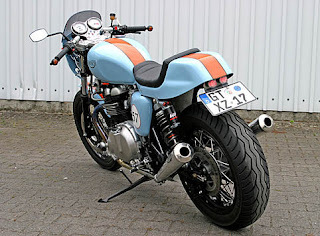 New downpipes and long Dunstall mufflers complete the clean, low fast look I’m trying to achieve with this bike. 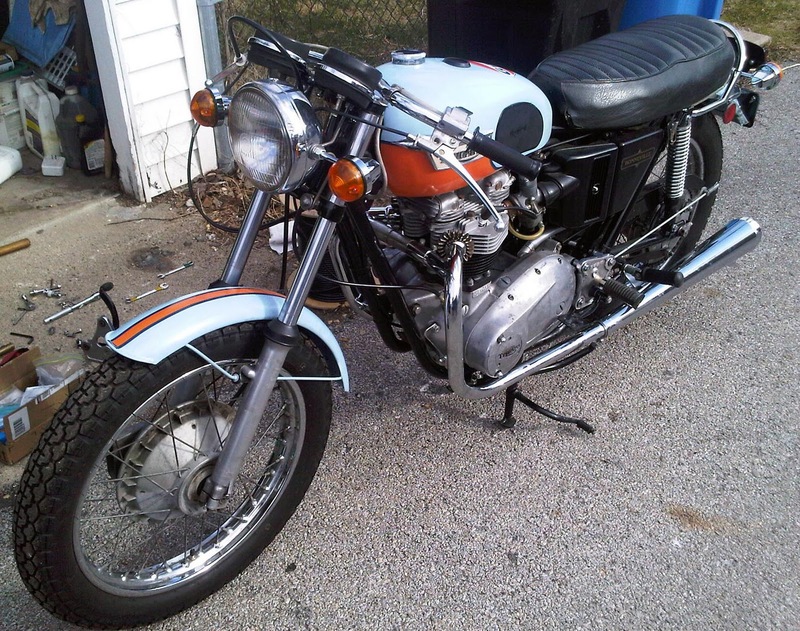 …looking forward to warm spring days! 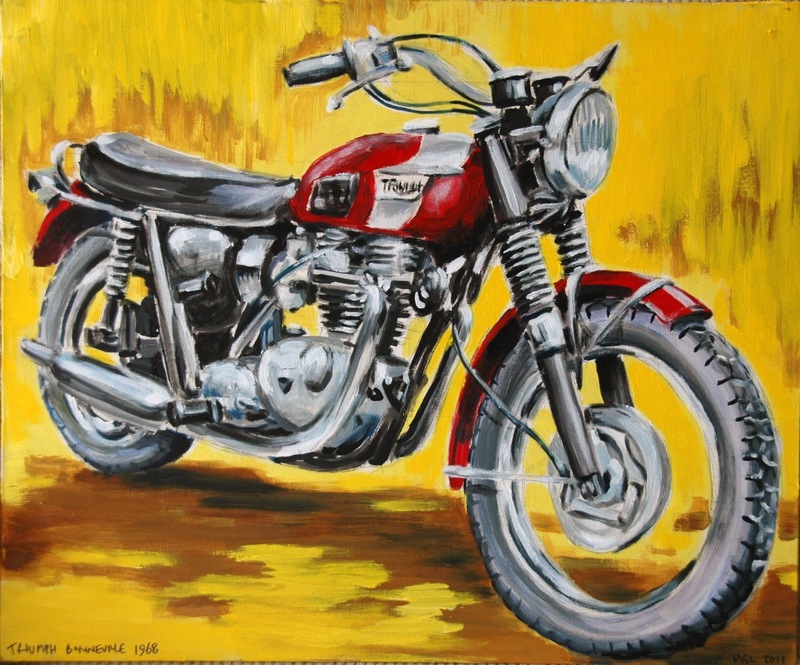 My latest painting of a friends Triumph; his ’68 Bonneville. 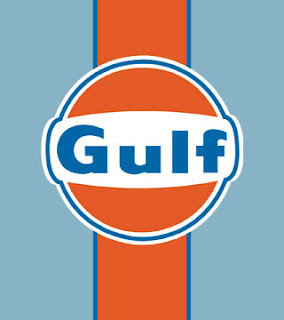 More and more bikes are cropping up with the sky blue, orange and navy pinstripe colors of the Gulf Oil scheme. 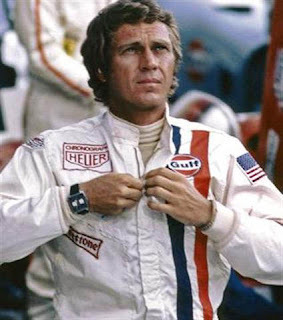 It’s the one previously mentioned in this blog being Steve McQueens Porsche appearance in Le Mans. 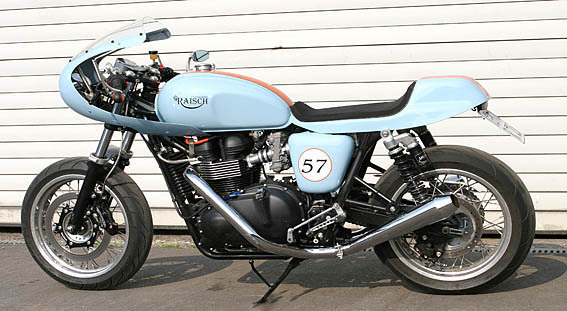 Another with swept back exhausts and racing fairing. 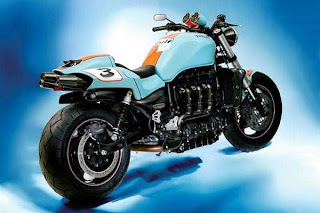 The muscular Triumph Rocket Three; a drag strip racer. 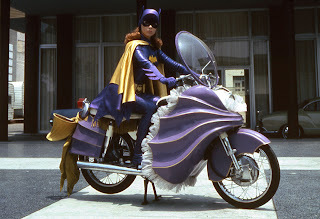 Even those who have to save the world see the need to zip about on two wheels when the need arises… yes they have their batcars and such, but any chance to rort after the bad guys with their cape fluttering behind! 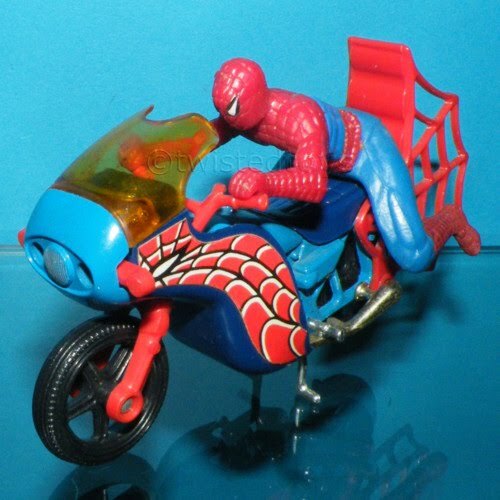 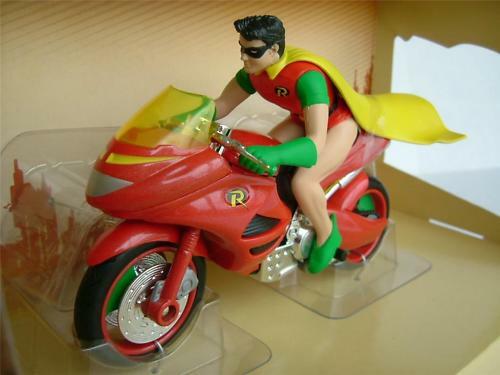 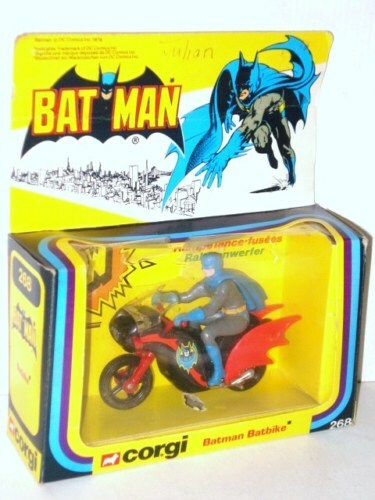 Well, growing up there was of course the bike toys to support the DC and Marvel comics and TV shows. 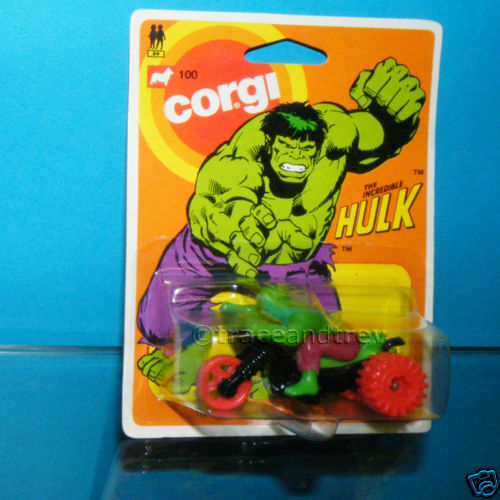 The Hulk one seems like a stretch and the Pink Panther drag bike? 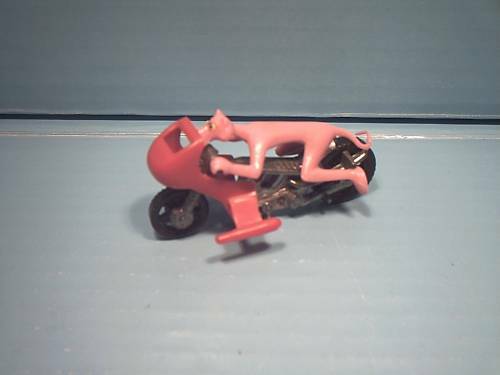 I remember the cool pink hot rod car, perhaps a custom Pink Panther motorcycle would be a good build.